Have you ever wondered what it would be like to be bathed in sound? 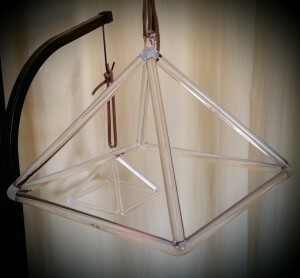 Crystal Singing Pyramids are the next generation of Crystal Singing instruments. They ring louder, and clearer and much longer than Crystal Singing bowls and have the extra benefit of being a Pyramid! In fact, the pyramid shape is a duplicate of the Great Pyramid at Cheops. Also our Singing Pyramids are made of quartz crystal which is why the sound is so pure. Because of the pyramid shape, the instruments tone on 4 different notes, rather than one. Each Singing Pyramid Session consists of 20 min of exquisite crystalline sound. You will ride the wave of sound to deeper meditation and healing. The vibration of the sound raises the vibration of each cell in your body, balances the hemispheres of your brain, and brings a beautiful feeling of peace. If you choose, you may also add a Reiki session to this experience for a deeper healing experience. Should you decide to take home a pyramid for yourself within a week of your therapy session, 100% of your session price will go toward your purchase. 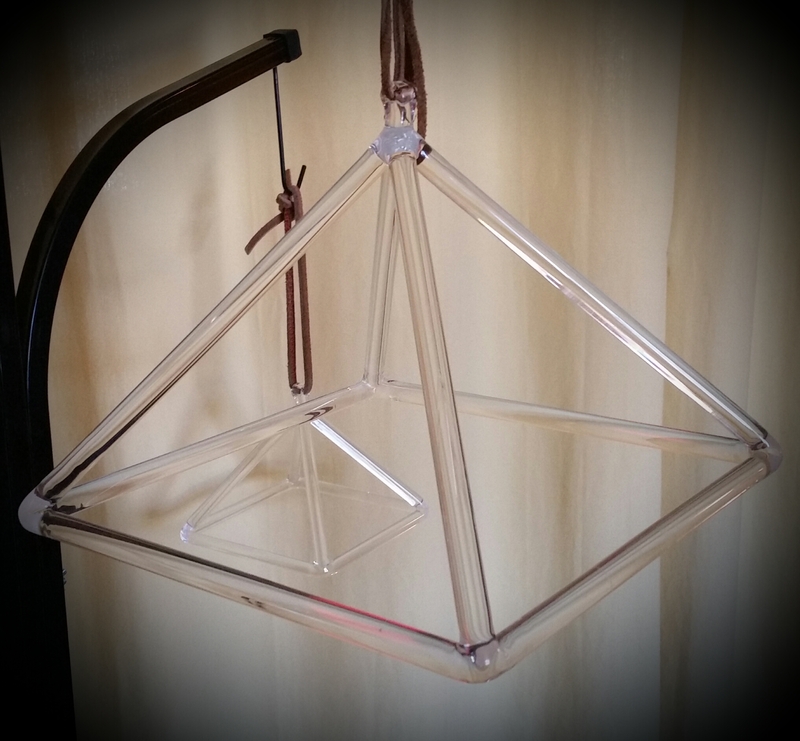 We have many different sizes of pyramids, from a 1″ pendant to a 26″ pyramid (14″ in store). They work on many levels, even if it is not used as a sound instrument, solely because of the pyramid energy. You can place fruits and veggies under it to keep them fresher longer for example, and razor blades remain sharper longer. It’s also an infinitely peaceful piece of art, full of light and adventure. Sleep is wonderfully deep, peaceful and relaxing, and you will not believe how wonderfully changed the quality of your room will feel, just by placing one in just the right spot. And oh that sound. It’s wonderful to meditate to and heal. If you are into Sound Wave or Tibetan meditation, Crystal Singing Pyramids are a MUST! * Perfect action against “burn out syndrome” and pessimistic attitude towards life. * The spherical sounds immediately solve all blockages in the body, the mind and the soul.